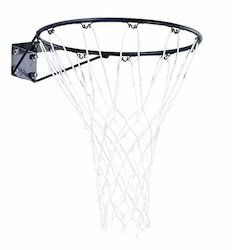 We are leading Manfacturer and Suppliers of Single Post Basket Ball Fixed. 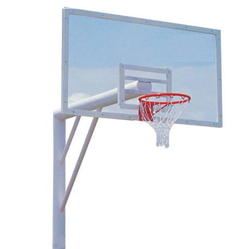 Basketball Goals set made of heavy duty steel tube structure with Spring Loaded System for height adjustment at different levels. It comes along with 20 mm Acrylic Board, Dunking Ring & padding for the safety of players. Wheels are provided for smooth shifting & levelers to adjust height on uneven surfaces. Set with adjustable height from 8 ft. to 10 ft.
High quality pool basketball goals, toys and volleyball for all your commercial or residential swimming pool deck needs are available. Our football goal poles and nets are available in different designs and sizes. Our poles and nets are suitable for all levels of play from mini soccer game for primary school to full size soccer professional use.